​See Spot's cage-free daycare is a fun addition to many dogs routines. Our play services can be used as an add-on to enhance your dog's grooming experience or on a drop-off basis. We offer hourly and daily rates as well as frequent flyer packages. Maintaining dogs in a pack dynamic requires a delicate balance of patience, experience, and cooperation. Our staff is experienced and trained to encourage safe and appropriate play in all sizes and typed of dogs. We are a boutique daycare- manners will be encouraged and enforced! Dog play groups are constructed based upon size, temperament, and experience in pack play. We utilize a Green/Yellow/Red Light system and use intervention as well as time-outs to encourage safe play for the protection of your pet and others. Risk for play is assumed by the owner- after all, they are animals and can be unpredictable! The dynamic of our pack changes daily based upon attendees and not all dogs are comfortable in a group play setting. If your pet is demonstrating inappropriate play behaviors, we can discuss other training options. 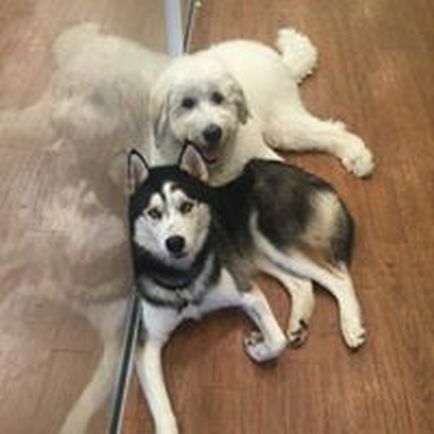 In addition to group play, you can opt for your dog to have a unique activity plan designed around specific skill stations based upon his mental and physical needs. 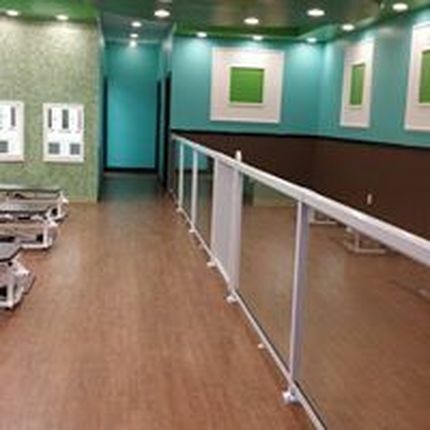 These stations include Canine Yoga, Balance and Strength Training, Treadmill Training, Hydrotherapy, Canine Stretching and Massage Therapy, and Mental Challenges. The Fido Fit Club has an additional monthly enrollment fee but once enrolled, your dog will enjoy a personal fitness plan each time he visits See Spot Play within that month! Group play provides a great option for many busy pet owners to ensure their canine partner has appropriate social interactions. Occasionally, our clients need or desire assistance in meeting the training needs of an active pet. We offer TRAIN & PLAY sessions at an addition cost to our regular daycare attendees. These sessions are mini-mental workouts to reinforce training skills you are practicing at home. Leash manners, jumping up, sits, and downs are common core skills that we enhance during our TRAIN & PLAY sessions.